On March 29th 1996 Oasis played at the Summum in Grenoble, France. Watch the band play 'Supersonic' below. 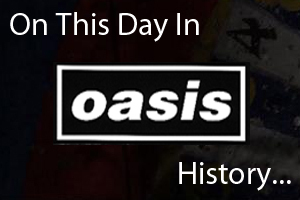 On March 31st 2006 Oasis played at the Sports Palace in Mexico City, Mexico.